As paganism has grown exponentially in the past 100 or so years, so too have the inevitable problems that come with it. Check out this article in the Telegraph about the impact of the solstice celebrations at Stonehenge to get an idea of what I’m talking about. I think that most people are unaware of the environmental impact of their actions so I think this is a discussion that needs to be opened. In my last post, I discussed some ways that you can be a more responsible pagan tourist. Now, I’d like to give some ideas for making environmentally ethical libations and offerings at sacred places. Water is generally my preferred libation. Since it rains everywhere in the world, I think this is a pretty safe thing to offer. Furthermore, it is one of the most sacred elements on earth as nothing that lives can survive without it. I also think that placing water in the context of a sacred substance helps shape our own thinking. The Western World takes water for granted even though there are an estimated 844 million people without access to clean water today. 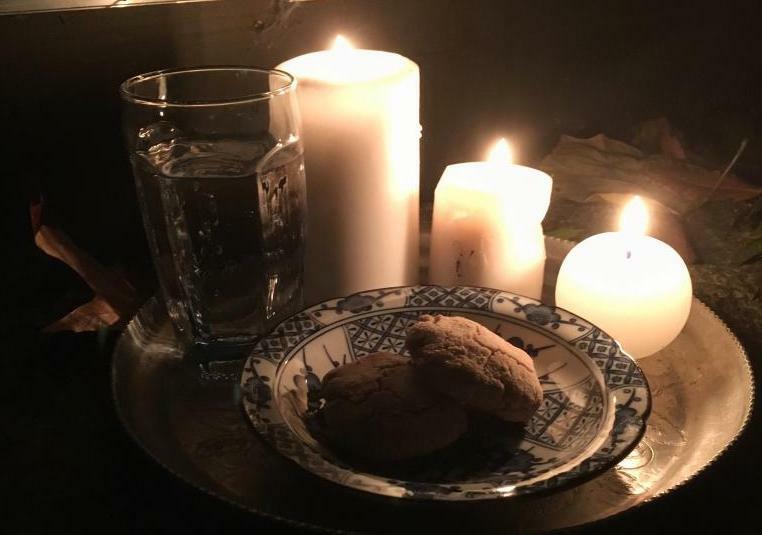 If you are at a place connected with a specific tradition or deity that you know prefers a certain libation, just use your discretion and make sure you’re not breaking the law or leaving it somewhere that could be consumed by wildlife. During a recent trip to Gamla Uppsala in Sweden for example, I poured libations of mead for Odin as there is strong literary documentation to support mead as a preferred libation for the Norse pantheon. I like to leave flowers as offerings. They are biodegradable and naturally occurring (obviously!). However, we still need to be careful about what kinds of flowers we leave. I leave wildflowers that I’ve picked in the area when at all possible. Do be careful about you pick, though. We don’t want to be damaging any endangered flower populations or helping to spread invasive species. Generally, just try and be informed! Since wildflowers are not always an option, ie it’s the winter, occasions do arise where store bought flowers are called for. The main thing to watch out for is flowers that are artificially dyed. These are unnatural substances and can damage the environment. 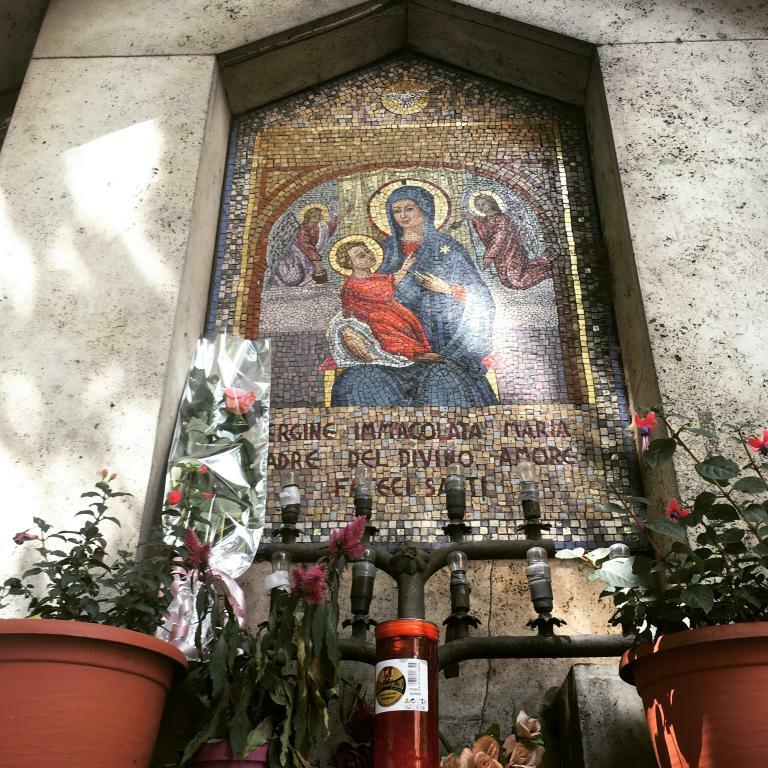 A Marian shrine spotted on the streets of Rome. Many people like to leave food offerings. As with the above suggestions, there are a few things to keep in mind. Firstly, anything you leave outside is likely to be consumed by any local wildlife. Animals are not designed to eat processed foods. Just because they can, doesn’t mean they should. That means that any food you leave should be animal-friendly. Things like chocolate can be fatal to animals and should be avoided entirely, keep these for your home shrines. I understand the desire to want to inscribe a protective sigil or rune on a sacred site, but people need to think about how they are doing it. I’ve seen everything from chalk to straight up chiseling at various places. As far as I’m concerned, anything that actually makes a permanent mark should be absolutely out of the question. Why not draw a sigil in the dirt? Or just inscribe a rune with your finger in the air? Intent and action is the activation, it doesn’t need to be left there permanently. This is probably the trickiest one for me. I’ve definitely felt called to leave things at sacred places. And it’s no question that this was done in ancient times. Coins, weapons, jewelry, and other high-value items have been found all over the world at places connected with gods, spirits, and ancestors. Each person needs to use their own discretion in such instances but as a general rule, I usually avoid anything plastic or that could turn into ‘trash’ at a later point in time, i.e. tea light candles and incense sticks. And if you do plan on leaving something, there is a distinct possibility that it could be taken by another visitor so my recommendation is to hide it or bury it. During a recent trip to Rome, my sister was compelled to leave a silver bracelet at the ruins of the Temple to Venus. So we found a crack in one of the rocks and stuck it as far behind and out of view as possible. 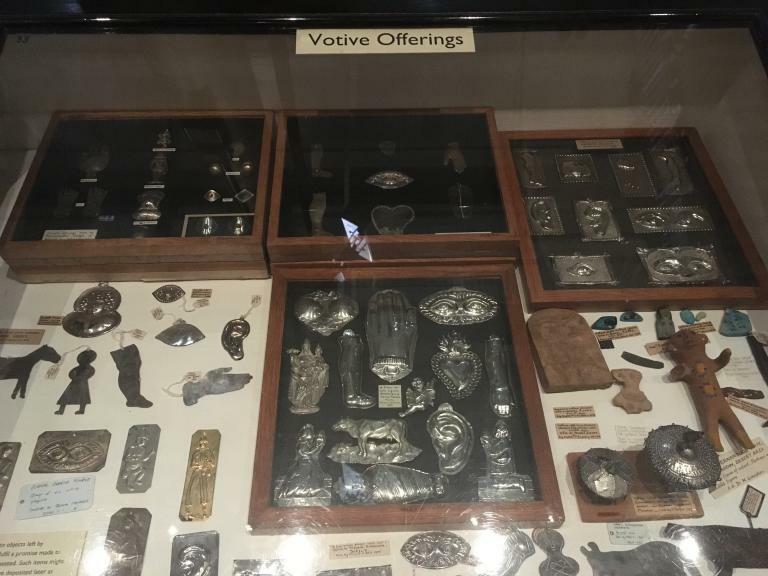 Examples of votive offerings from around the world. On display at the Ashmolean Museum in Oxford. This is by far my preferred act of offering at sacred places. Rarely do I leave a sacred site without as much trash as I can carry in-hand. This is certainly my own UPG but it’s good for the environment and helps to keep sacred areas sacred. Furthermore, trash littering the ground seems like desecration to me. I think the gods, land spirits, and ancestors are pleased when we respect and care for the places around us. Stonehenge after the solstice celebration, it just feels wrong doesn’t it? Photo from Reddit. 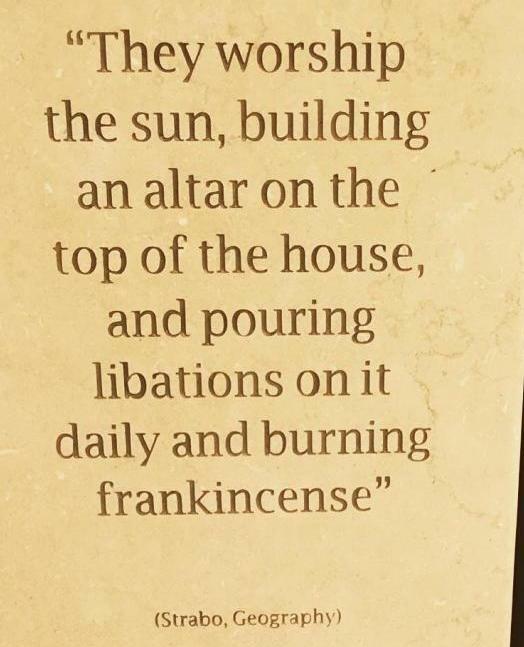 Next how do you worship the gods when they’re in a museum?